Glass is the newest rage in terrazzo chip. Domus Terrazzo offers a wide selection of glass chips in a variety of sizes. 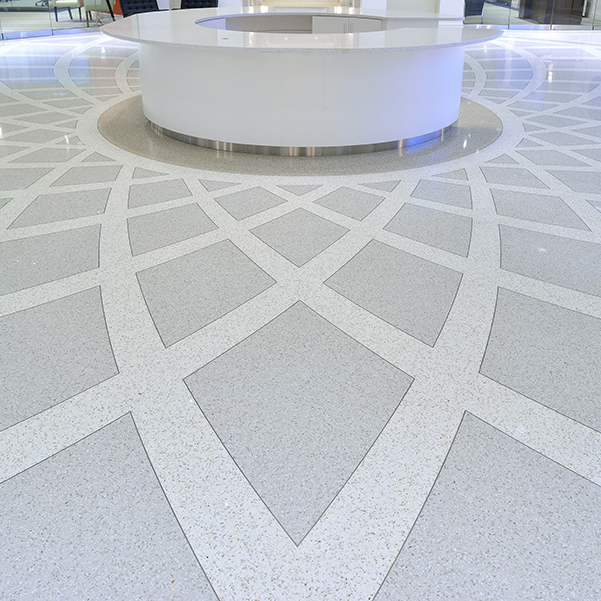 Ask our terrazzo team how glass chips incorporated into a terrazzo floor can be considered for LEED credits. Domus Terrazzo carries domestic chips, imported chips, recycled glass and porcelain and concrete chips in all sizes. Colors range from the whitest of white to the blackest of black.